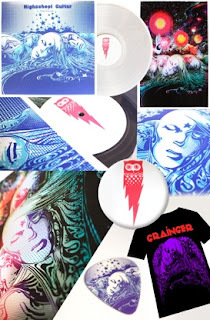 Limited Edition Vinyl of Brian Grainger's "Highschool Guitar"
320kps MP3 Digital Download of Highschool Guitar PLUS the Exclusive Bonus track "BLUE WEDDING"
Great stuff! Got my order in! Love anything on the attack 9 label. Can't wait for it to arrive. Lovely artwork as well.